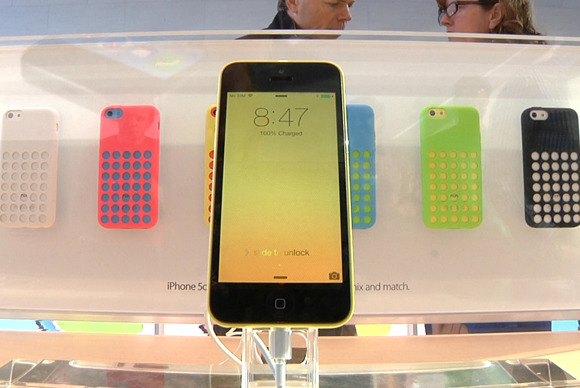 Like the rest of the world, we got our hands on the iPhone 5s and iPhone 5c on Friday. But before we sit down with the phones for a long weekend of rigorous testing, we’ve got some first impressions to share. In the video player above, you’ll see Jason Snell’s first looks at both iPhones. (Just click on the video icons on the left to select which video to play.) But he also wrote down some initial thoughts on both the iPhone 5c and iPhone 5s. In addition, Serenity Caldwell walks you through the process of getting started with your new iPhone. There’s also the matter of the new operating system running on these latest iPhones… but that’s another series of articles altogether.